Are you looking for a holiday in the countryside, to enjoy nature and a quiet environment to escape from busy city life? Or you wish for a family holiday in a child friendly holiday home? For your next holidays, discover our offer of houses for rent by theme. We are always trying to help you better in your search for accommodation in France, we found different themes that meet the wishes of our clients for an original holiday. This selection brings you immediately to the holiday rentals that meet your interest or needs. 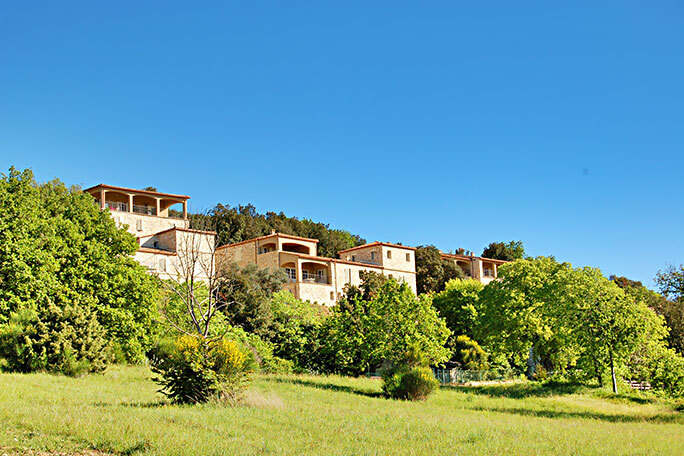 Are you looking for a sportive vacation, holidays with your pet or an original type of holiday, Coins Secrets proposes holiday rentals in France by theme. Pass your next holidays at a vineyard ! You are looking for something different ? Discover our offer of unusual holiday accommodation in France. Are you travelling with your dog or cat ? Select your holiday rental or gite in our offer "Pets welcome"
You love the seaside of the Atlantic Ocean and the Mediterranean? Discover now our holiday rentals near the seaside. You love the charm and character of the picturesque French villages? Try one of our cosy village houses for your next stay. Do you want to spend your vacation in a charming village ? Discover our holiday rentals in the most beautiful villages of France. Do you like the countryside and the fresh air? Make your choice between our farmhouses, rural retreats and cottages in the countryside. You love the city for a short city break ? Check our offer of apartments and houses to rent for holidays in the city. Would you like to go on skiing holidays ? Discover all our chalets and holiday rentals near or at the ski slopes. Considering holidays just with the two of you ? Coins Secrets propose various smaller holiday rentals with all the quality and comfort of a bigger house for a romantic stay. Do you need a short break ? Relax and enjoy a long weekend or short trip with Coins Secrets. Dreaming of staying in a castle during your holidays ? Rent a castle for an unforgettable stay. Choose for a luxury stay in an exceptional villa. Discover our selection of luxury villas for your holidays. Would you like to enjoy an amazing view from your holiday home ? Discover our offer of holiday rentals and apartments with view. Are you planning a family holiday ? Coins Secrets proposes family friendly holiday homes, for a perfect stay with all the family. Excellent service in an exceptional setting, that's what you can expect at a private holiday Estate.